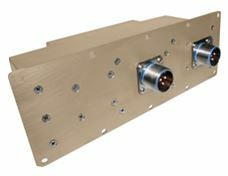 EMI Filters are used to prevent electromagnetic interference in avionics and aircraft systems, as well as military shipboard/vehicle electronics, and in military communication systems. Electromagnetic interference can cause a complete loss of data in communications systems, or a simple decline in data quality. Excelitas provides EMI Filters for MIL-STD-461 and DO-160G emission and susceptibility standards. They’ve been designed to meet the most demanding military and commercial requirements and feature greater than 98% efficiency. These filters have an output power of 10 to 5000 W and single and three-phase AC inputs. To learn more about Excelitas' solutions for the aerospace and defense market, download the brochure above. You can also contact Excelitas to learn more about their EMI Filters.